BRYAN EATON/Staff Photo. 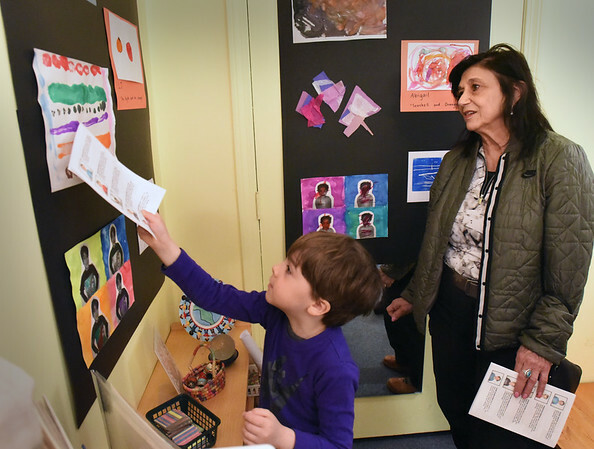 L. J. Gifford, 6, decribes his creations to his aunt, Janice Chiaradonna, during his classroom's art show at the Newburyport Montessori School on Wednesday morning. The young artists created different pieces of work using different techniques and media.